UnlockBase - Page 2 of 95 - Latest news & update about UnlockBase.com server ! After the release of Xperia XA2 and Xperia XA2 Ultra, Sony released another phone for the mid-range market, the Xperia XA2 Plus. Just like many of Sony’s flagship phones, the Xperia XA2 Plus is designed for entertainment. It has a huge screen, a conventional design, and a huge battery capacity. It is built with a 6 inches aluminum and glass body, and had two different sets of memory capacity and RAM; 32GB with 4GB RAM and 64GH with 6GB RAM. You can get in 4 different colors; silver, black, gold, and green. What makes this phone stand out in the upper midrange arena is its 23MP rear camera. If you’re greatly inclined to photography and filmmaking, you definitely need to check this phone out. 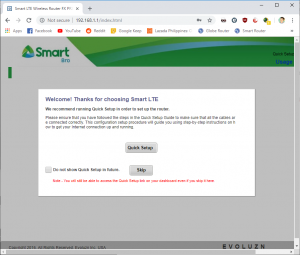 Related: How to sim unlock your Sony Xperia phone for use with another carrier. This high- level tiered phone is crafted with Corning Gorilla Glass 5 with metallic finishing. The edges are done with diamond cuts bringing an elegant curve that is ergonomic to your hands. Its total height is 6.2 inches, but only 6 inches of it was spent to the 1080 x 2160 resolution full HD display screen. It’s not bezel-less and it a small chin at the top and at the bottom of the screen. Thus, although the bezel is thinner than Xperia AX2 and Xperia Ultra, it can never be compared with other Android phones that already achieved the bezel-less look e.i. iPhone XS, iPhone XS Max, and iPhone Xr. Located at the top of this phone is the audio port for 3.5 mm headphones that enhance by DSEE and High- Resolution Audio technology. In addition, the LDAC that heightened the wireless music streaming is available on this phone too. Sim and micro-SD slots are located at the upper left side of the phone. Located at the other side are the camera key, power button, and the volume adjuster. The battery capacity of this phone is in 3580 mAh, however, the processor of this phone is still in Qualcomm Snapdragon 630. The performance is expected to be slower than Xperia XZ2 and shorter battery life. Nonetheless, it’s one of the few mid-range phones that have a huge battery and the operating system is justified by its price. It doesn’t have dual rear cameras but having a 23MP single rear camera compensates what it lacks. You won’t see this from mid-range phones coming from other manufacturers. Even the Samsung Galaxy Note 9 only has a 12MP rear camera at the back, and it’s a flagship at that. Having an 8MP front camera is not that bad, too. You still have a bokeh effect and other common camera features other phones of the same price range have. The security feature of this phone is fingerprint scanning. It is located at the back along with the camera. The touch system of the pre-installed keyboard to this phone is very smooth and there’s no delay. Other phones may pause if you’re typing too fast; there are none in this phone. Related: Want to unlock your Sony Xperia? Click here! The purpose of this table is to show the improvement (if there is) in Sony’s Xperia XA2 Plus. Related: Here’s why you should unlock your phone with UnlockBase! Sony’s XA2 series offered mid-ranger phones that really stand out in performing their daily tasks in serving you. XA2 Plus is the upgraded version of the regular XA2. It has bigger RAM and internal memory more than its predecessor and the capacity to accommodate external memory has enlarged too. 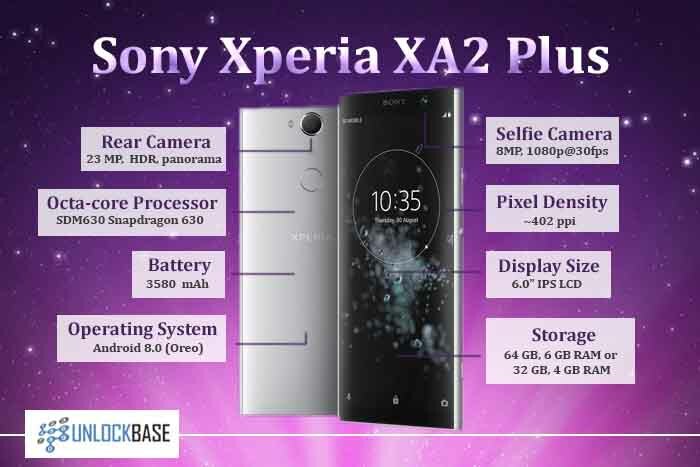 On the flip side, after the release of XA2, XA2 Ultra is launched having the same specs with XA2 except for its front camera having the amount of mp twice as compared to XA2 and XA2 Plus. Despite that, the XA2 Plus has a bigger RAM capacity. If you’re looking for speed, this is your best bet. The Xperia XA2 Ultra is priced almost the same as the Xperia XA2 Plus, the latter doesn’t have lesser specs, it’s just a matter of deciding what you are able to compromise. You really can’t have it all. 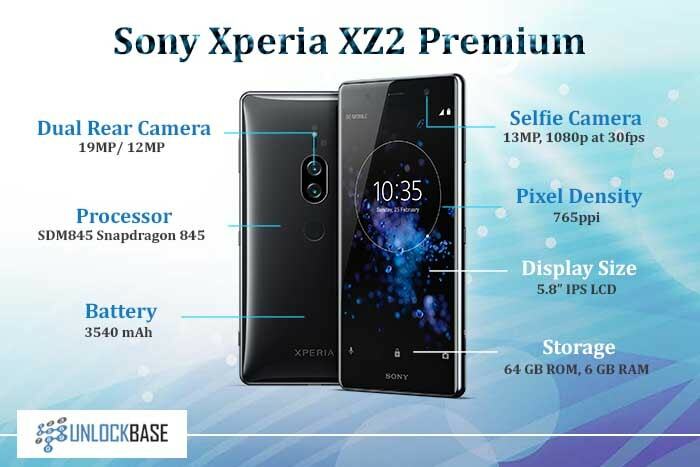 Sony Xperia XZ2 Premium is the “plus” version of the Sony XZ2 that was released on the first quarter of this year. This “premium” flagship phone obviously has upgraded features compared to the XZ2, starting off with a bigger screen size display and a bigger RAM capacity. It ticks off pretty much all the basic features that we expect, and of course, the electronics giant kept all the good stuff they had with the XZ2. Inside and out, the Xperia XZ2 Premium is an A+ flagship that deserves a second look. It is obvious that Sony’s targets are people who are enslaved by entertainment. With its 5.8-inch screen display, you will enjoy watching YouTube videos and Netflix, playing games, and taking photos. It’s 4K HDR display is 100% spot-on even when you’re recording movies. If you like it loud, this one’s going to make it to the top. This phone doesn’t have a 3.5mm headphone jack, but Sony made up for the lack by giving you LDAC, DSEE HX, and 2 loud front-facing stereo speakers that are truly loud. According to Sony, these are the loudest Xperia speakers ever. The audio experience makes the viewing experience more surreal. And if that’s not enough, this flagship phone also has a Dynamic Vibration System, that “analyses audio data and lets you feel the action with your hand.” If that’s not immersive, we don’t know what is. The screen of XZ2 premium is still IPS LED, which is definitely energy saving compared to Samsung’s OLED Screens. It’s also Corning Gorilla Glass 5, which means it’s built tough- a standard for most flagships. XZ2 Premium is available in two color variants, chrome black, and chrome silver. It stands 6.2 inches, a wee bit taller than the XZ2, and has a 5.8 inches of screen display. It is not bezel-less like most 2018 phones are, but again, the amazing video and image quality on this phone makes up for that minor lack. RAM and Memory. The most notable upgrade in the specs that we’ve seen is its huge 6GB RAM, which makes this phone more power efficient. Moreover, it comes with a 64GB internal memory, that is expandable with an external card up to 400GB. Camera Experience. The camera features of this phone are definitely way better than its predecessor. It has a 13MP front camera and a 19MP and 12MP dual rear camera. The selfie and dual rear cameras have low light sensors and can capture crisp photos in any light. The rear cameras have an AUBE fusion sensor at the back that fuses both the data from the 19MP RGB color and 12MP monochrome (black and white) camera. This helps you capture better video than what your eye sees real time in ultra-low light settings. This phone is absolutely a god-sent device for someone who is addicted to photography and video recording. Battery life and efficiency. The battery capacity of this phone has an 11% increase to that of the XZ2. And for sure, you can play all day or watch movies loud without having to worry about recharging or losing power in between. Its enormous 3540mAh battery guarantees that. And its powerful and fast Octa-code Snapdragon 845 Qualcomm processor increases your phone’s power efficiency, making it last long even when you’re multitasking or using different apps at the same time. Build Quality and Security. In addition to having a strong screen, this phone is also IP68 water and dust-resistant. You can take this phone with you wherever your adventure might be. As for biometrics, this phone is still using fingerprint security and not the facial ID. Despite being heavyweight and not-so ergonomic in size, the Sony Xperia XZ2 Premium truly embodies what a premium flagship phone is like. We’ve compared the specs and features of the latest Xperia phones out in the market. If you’re a Sony fan, we hope this will help you decide which one’s are worth the compromise. The upgrades available in Xperia XZ2 Premium is noticeable. Consider yourself lucky if you haven’t purchased any of the Xperia phones out yet. Camera-wise, the XZ2 sucked while the XZ2 Premium excelled. If you have $1000 to burn for a flagship phone of this caliber, you’ll definitely not regret getting the Sony Xperia XZ2 Premium. 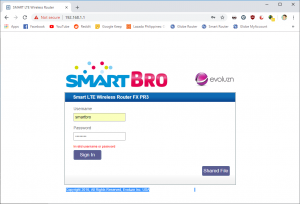 This guide will help you unlock your Evoluzn FX-PR3L; which will allow you to use any SIM cards, provided that both the device and network (carrier) use the same frequencies. Note that this does not require disassembling the device. This guide will work up and beyond firmware V13. For those who want a video version of this guide, please watch below. 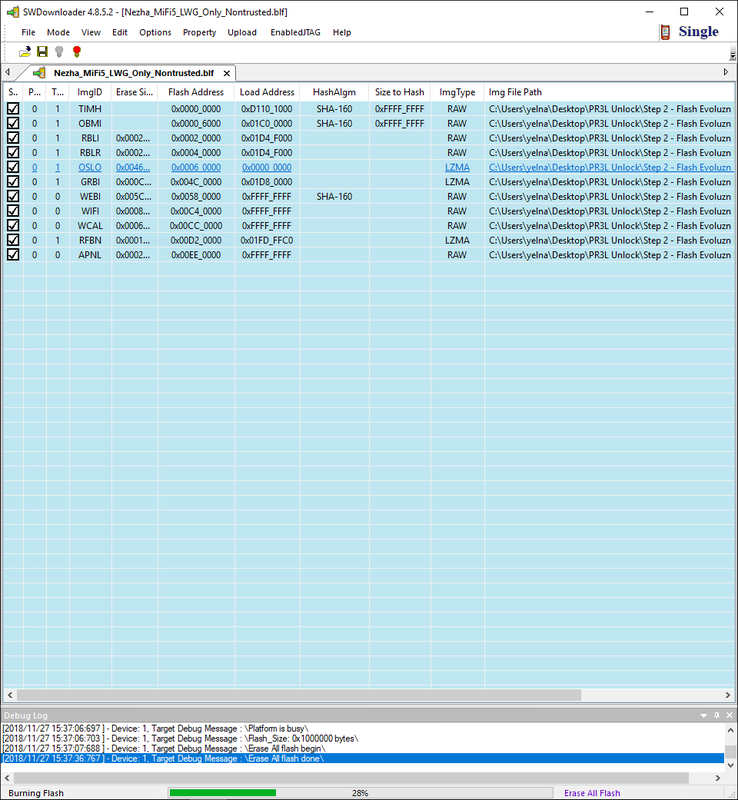 Download and extract the files you will need in order to do this tutorial. This contains six folders, Starting from “Step 1” all the way through “Step 6″. 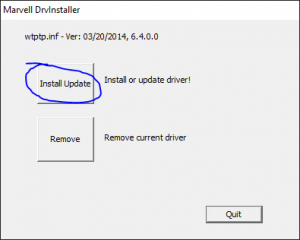 Step 1 is a basic installation of the WTPTP Driver in your computer. 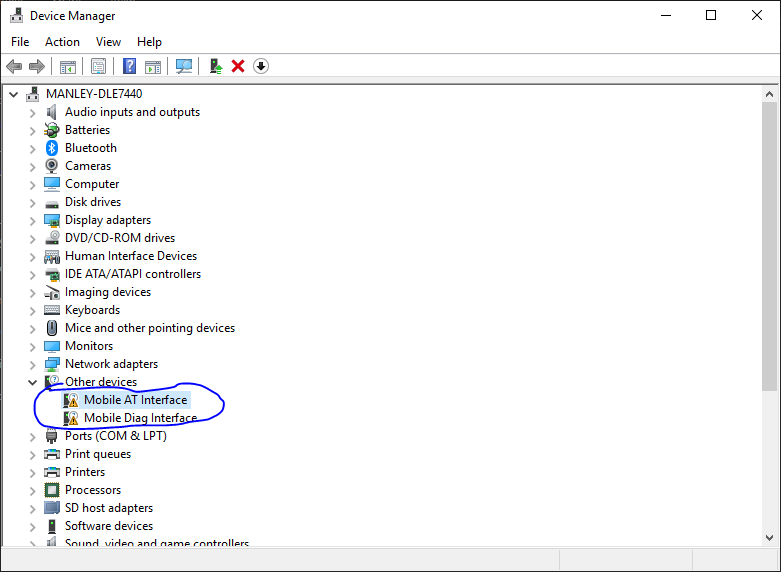 On your computer, navigate to the “Step 1” folder. If prompted with “Do you want to allow this app from an unknown publisher to make changes to your device?”. Click “Yes”. 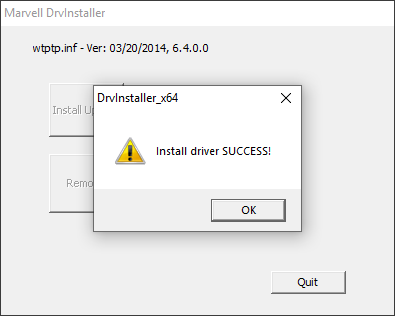 Once done, you should see this dialog box saying that the driver installation is a success. If you see any error, click on “remove” and then click on “install update” again. If that doesn’t solve it, try to reboot your computer and re-do the whole process. Step 2 involves flashing a different firmware on the device. This is necessary for us to successfully unlock it. Don’t worry, we are going to flash the original firmware back once the unlock process is complete. 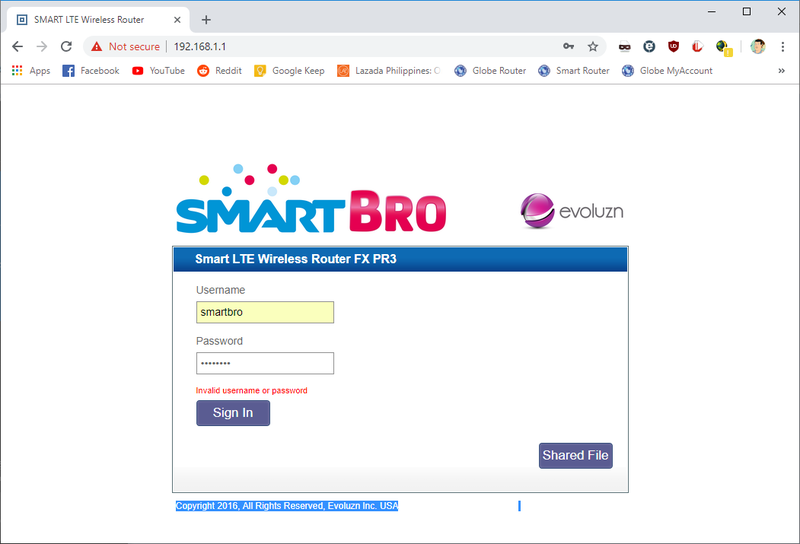 Remove and disconnect everything on your Evoluzn FX-PR3L device. If it’s connected via USB, disconnect. Remove both SIM and battery. 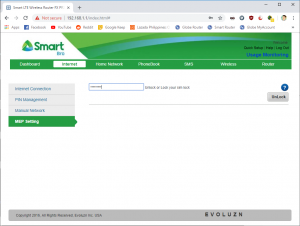 Go to the “Step 2” folder, and run the “SWDownloader” program. Click on “File”, then “Open”. Navigate to the “SWD” folder, (if you don’t see it, it’s located on the “Step 2” folder). Click on the green lightbulb icon. Connect the FX-PR3L Pocket WiFi via micro USB cable and plug it into the computer’s USB port. As fast as you can, insert the battery, then hold the power button. 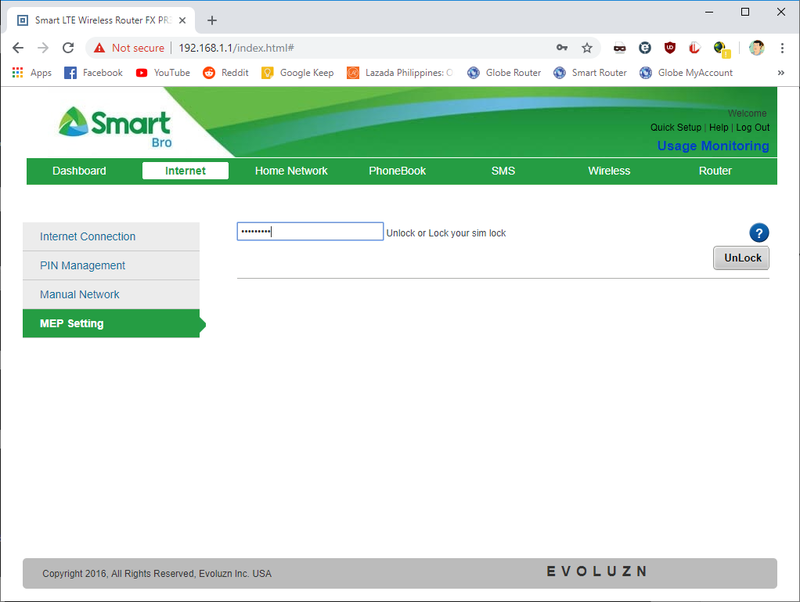 Until you see “welcome to Smart”, then the arrow button. You should see flashing green progress bar on the bottom of SWDownloader. Once done, there should be a dialog box, saying so. Press “OK”. 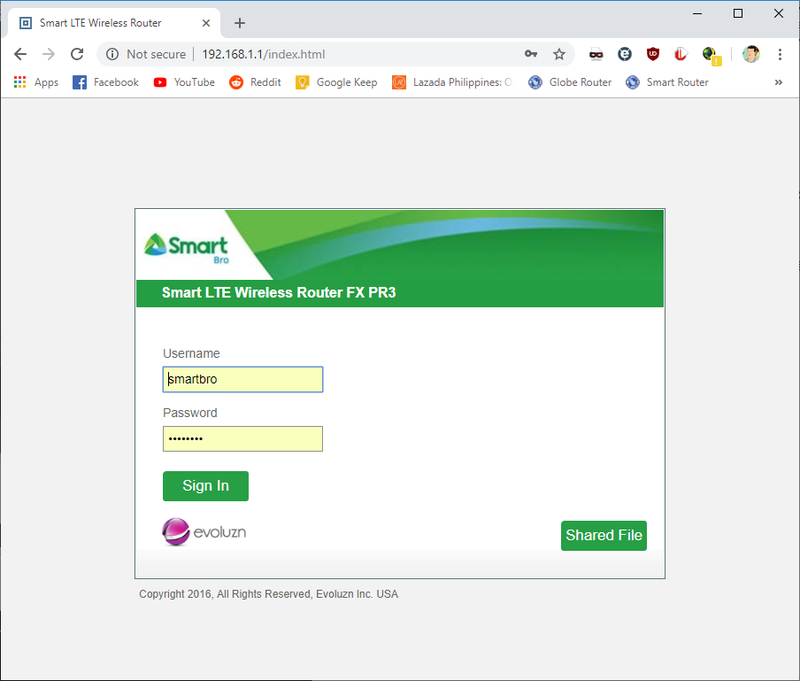 Quit out of “SWDownloader”, by clicking X on the top right. Disconnect the micro USB cable, and remove the battery. Reinstall the battery, turn it on, and plug the cable back in. On the device, it only shows a white screen. But that’s ok. 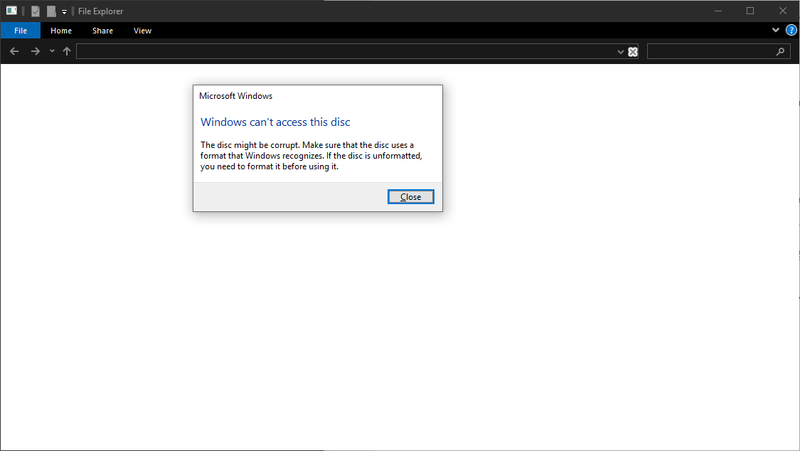 When you see a dialog box that says the disk can’t be read, just click “Close”. 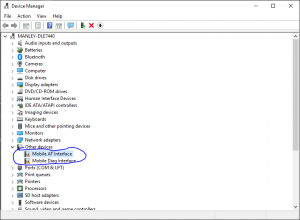 Open “Device Manager” (Press CTRL+R) then type “compmgmt.msc”. 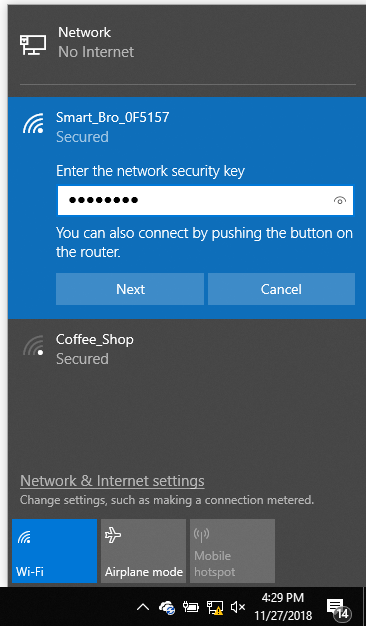 then click on “Device Manager” on the left pane. Double click on “Mobile AT Interface” (under “Other devices”), and click on “Update Driver”. 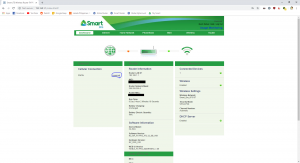 Double click on “Show All Devices”. 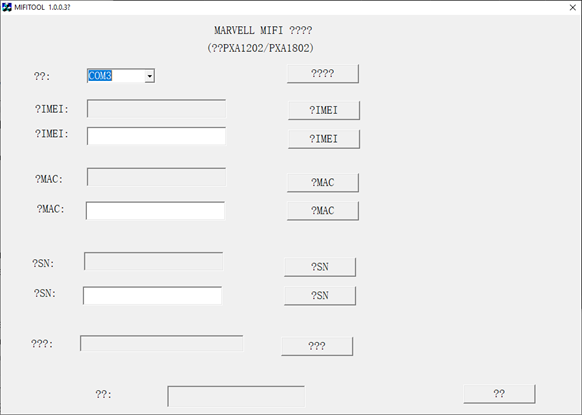 Click on “Marvell AT Interface”, then click on “Next”. 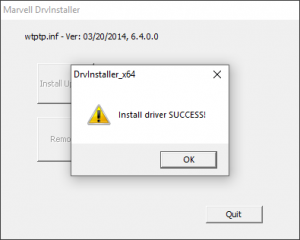 It should tell you that you the driver has been successfully installed. Click “OK”. Do the same steps above for the “Mobile Diag Interface”. 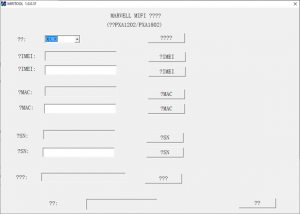 But choose “Marvell DIAG USB Device Version: 2.0.0.1 [10/11/2012]”. 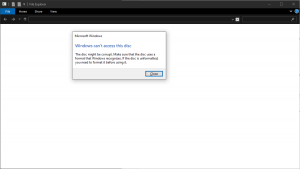 Close out of Device manager. Rewriting the IMEI, MAC, and Serial to the FX-PR3L Pocket WiFi. 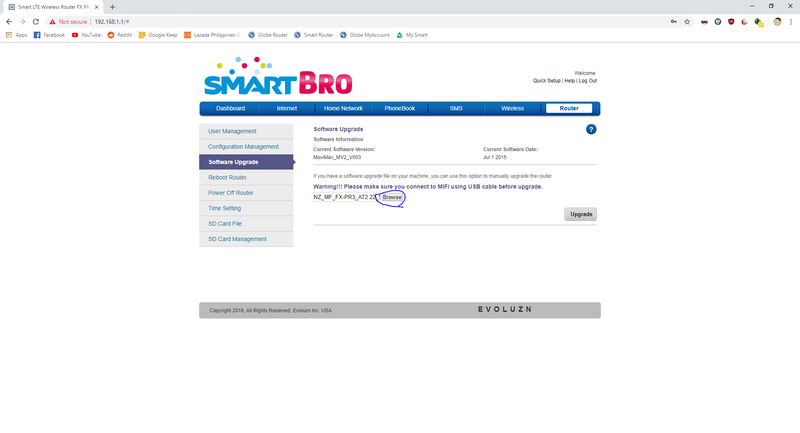 Click the first bottom “????”. 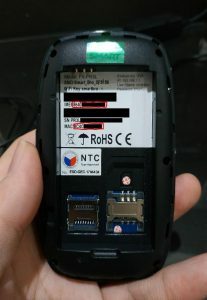 This should locate where your Pocket WiFi is. For me, it’s located on COM3, but yours may vary. 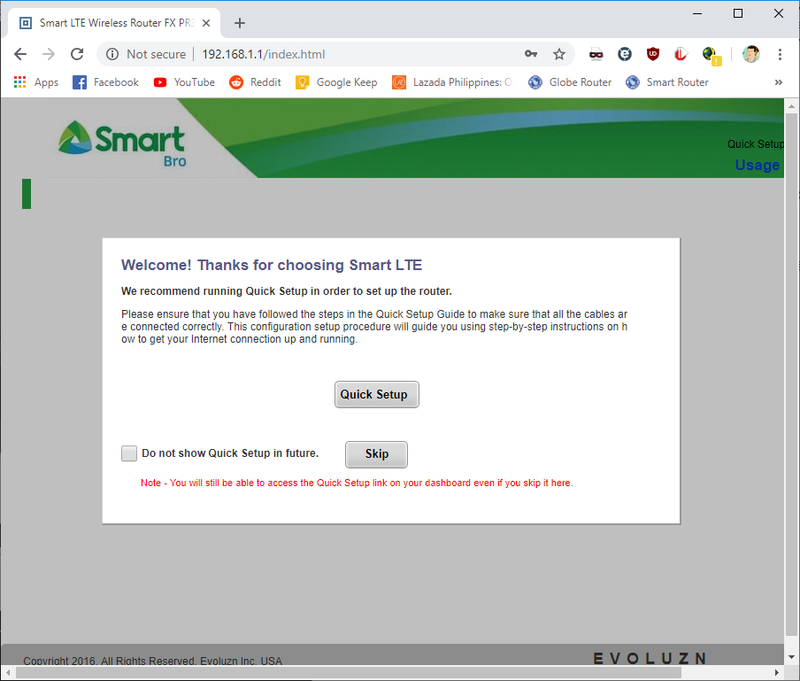 Click on the first “?IMEI” button. Type your IMEI number from that picture you took or wrote down earlier. Press the second “?IMEI” button, twice (just to be sure). Press the first “?IMEI” button again, to ensure the IMEI you entered has been written. Click the first “?MAC” button. Type in the MAC address from the picture you took or wrote down earlier. Click on the second “?MAC” button, twice (just to be sure). Click on the first “?MAC” button, to ensure the IMEI you entered has been written. Type in the serial number you wrote down or took pictures of earlier. Click on the second “?SN” button, twice (just to be sure). Don’t bother clicking the first “?SN” button, as it will freeze up the program. Close out of the MiFi Tool by clicking X on the top right, or by clicking the very last button “??”. Flashing the FX-PR3L V9.0 firmware. Disconnect the micro USB cable. 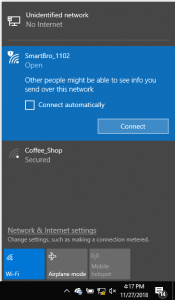 Connect to the Pocket WiFi via WiFi. Open the browser, and go to 192.168.1.1. 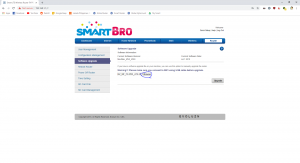 Type in “smartbro” for both user and password. 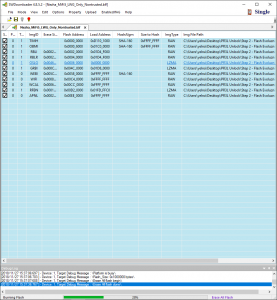 Navigate to “Step 5” folder, and select “NZ_MF_FX-PR3_AT2.22_SB_V09.bin” file. It will now flash the FX-PR3L V9.0 firmware, and Pocket WiFi will reboot once done. Insert SIM and battery. Put cover. Turn the Pocket WiFi on. It should say “PH-NET PIN”. 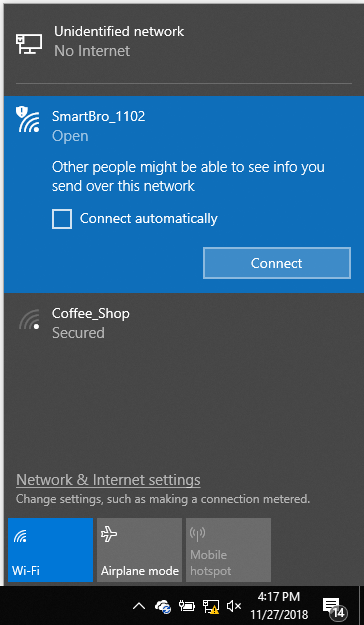 Connect to Pocket WiFi via WiFi. 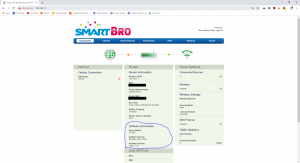 The password is “smartbro”. Under “Cellular Connection”, click on “required”. Click on “UnLock” once. UnLock should now turn into “Lock”. The Pocket WiFi should now reboot. Congratulations! 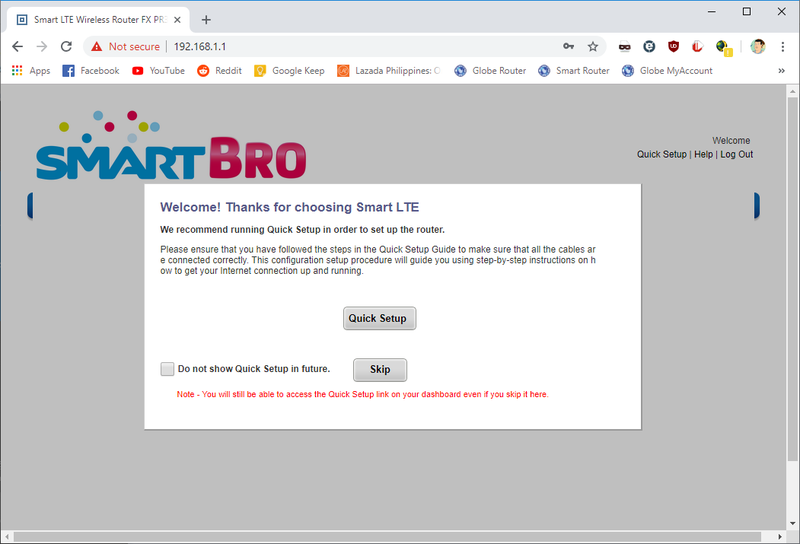 Your PocketWiFI is now unlocked! 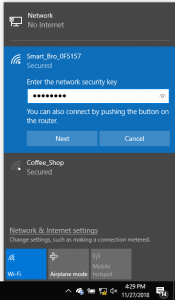 You can now change and customize its network name (SSID) and password. 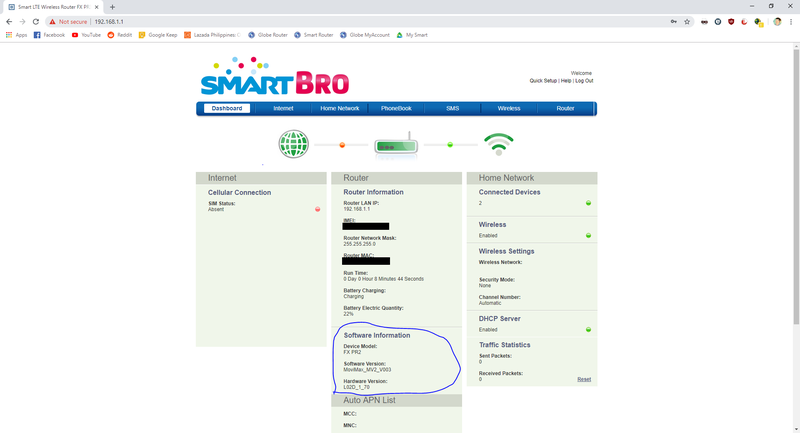 If you want to update the firmware, download the “Smart Bro Pocket WiFi” app. It should automatically download the latest firmware when signed into the app. Updating the software doesn’t change the unlocked status of your device. We uploaded the latest firmware, firmware V14, and the unlock still persists. Any questions? Feel free to fire away on the comments section below! Around the first quarter of this year, Sony offers another flagship phone to the market, the Sony Xperia XZ2. It is your typical 2018 phone; it comes with a huge Corning Gorilla Glass 5 screen display powered by the latest processor octa-core unit Qualcomm Snapdragon 845. To video vampires out there, this Android phone is supported by Sony’s Bravia TV; giving you an experience of a movie theatre within the size of your palm. Xperia XZ2 released a refreshing pocket-friendly and palm-fit design with gentle curves at the back, trashing the brick-like structure of the older models of Sony. The outer hard parts of this flagship phone are toughened by a Corning Gorilla Glass 5, the strongest glass available today. It’s accentuated with an Aluminum metal that contributed to earning its rating—IP68 dust- and water- resistance. It’s 6 inches tall, with 5.7 inches of screen display. The only caveat is that it is not coated with the anti-fingerprint coating. It should be cleaned regularly to keep its shiny look. It is still with IPS LED which is energy saving. This is finished with four different color coatings—liquid black, liquid silver, deep green, and ash pink. This phone has two variations, one has a single Nano sim and 4GB of RAM (H8216), and the other model has a Dual Nano sim with 6GB RAM (H8296). In addition, the external memory is expandable up to 400GB. It is best for storing numerous videos, movies, music videos, and other entertainment kinds of stuff. The battery capacity of this phone is a whopping 3180mAh. The energy consumption is lesser due to its faster Snapdragon 845 processor, the latest in Qualcomm technology. Its powerful processor makes your battery last longer than your normal usage. And if convenience is a major concern, Sony Xperia XZ2 has wireless charging capability. Its battery is refilled using a dock, and the hassle of using coiling wires is now gone. In this phone, Sony sticks to fingerprint biometrics, which is not a bad move, since Face ID security is still shrouded with a lot of security and usability issues. This flagship phone carries a 19 MP rear camera with their latest technology called Motion Eye, bringing photos and video experience into HDR. It is also draped with new photo features that will really boost your creativity. Our favorite is their 3D capturing. You can now scan a 3D photo in 360˚ and share it. On the other side of the leaf, its 5MP front camera is such a letdown, too low for the likings of selfie addicts. Headphone jacks are out for this model. This is replaced by Sony’s LDAC technology, a wireless/Bluetooth headphone. But if you’re insistent in using headphones, a USB Type- C to 3.5mm Audio Jack adapter is included in the packaging. 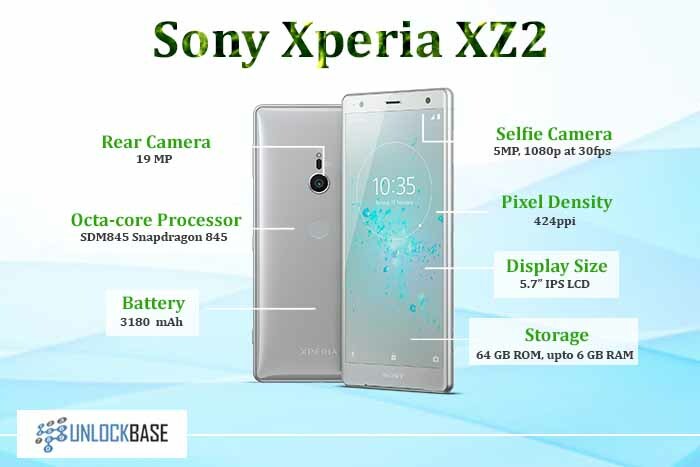 This is the specs of Sony Xperia XZ2 versus the other flagship phones of two known brands circulating the market. These three flagship phones offer HDR features in their camera. However, if you are into taking selfies, this might not be the best phone for you. The output of its front camera is bad and looks cheap. Really bad, like taking a picture with a lot of mosquitos in it. Definitely not for your Instagram, Snapchat, and Twitter stories. A big thumbs down. On the other hand, if you’re engrossed in watching TV, movies, videos, and other forms of visual displays, Sony Xperia XZ2 is the better choice. Still, choosing a phone will depend on your personal preference as a buyer. The holiday season is here and surely there will be a lot of gatherings and parties everywhere. You are ready, but what about your phone? If you are looking for the best phone to bring to every party this holiday season, try checking the Samsung Galaxy Note 9 out! The Samsung Galaxy Note 9 is accompanied by a powerful S pen that is now connected to Bluetooth for easier control in capturing photos, doing presentations, and watching videos. It is with a 6.3 inches screen display lighted with Super AMOLED technology. It comes with 256 GB internal memory expandable up to 512 GB. Related: Everything you need to know about how to unlock a Samsung phone. Decades back, the term phablet was born, and it is used to describe phones with a screen size between that of a regular smartphone and a tablet. It gained a negative reputation for being too big for hands to hold and for not being pocket-friendly. Samsung, being one of the pioneering manufacturers of phablets, did not disappoint the world by releasing the Galaxy Note series, which we know are truly remarkable when it comes to design and build quality. And this year, the Samsung Galaxy Note 9 made its debut. Just like it’s predecessors, the outer parts of Galaxy Note 9 is made with glass and accented with aluminum; it has smooth curves at its edges really identical to the former Galaxy Note 8. Its outer appearance is polished with three different colors— Ocean Black, Midnight Blue, and Metallic Copper. Its height is 6.4 inches- having an almost bezel-less Super AMOLED screen display. The processor of this device is the Google Android version 8.1 Oreo. It’s a total bummer because Android Pie was already released before its debut, and that could have added more features and security. The sim slots of this are in dual nano sim or it could be a hybrid (one nano sim and one micro SD card). The S pen in Note 9 is now connected via Bluetooth, and it has added functions, too. It can control the camera, pause videos, and much more. It is located at the base of the phone together with the 3.0 mm headphone jack and a USB type- C cable port. In the back is its dual camera; having 12 mp for the main camera is not bad but still lacking compared to humungous models of other smartphone manufacturers. Its front camera is only in 8MP, which is also a big thumbs down. We expected the price of this device to be justified by its camera’s finesse. You can get a better camera with other flagship phones for the same price. The internal storage of this phone is in 256 GB and can be increased up to 512 GB, making it perfect for storing pictures, videos, and files for keeps from this holiday season. Related: Want to know your Samsung phone’s unlock code? Click here! 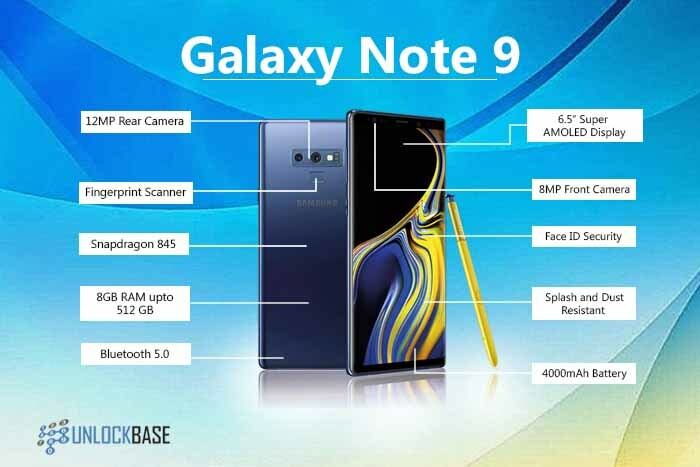 Below are the specs of Galaxy Note 9 versus the other two flagships phones from other Mobile manufacturers. This phablet rivals the iPhone Xs Max in terms of price but if you’ll look into the specs and features between the two, major differences can be seen. Note 9 and Xs Max have main cameras both in 12 mp. However, Note 9’s front camera is 8MP while the Xs Max only has 7MP. That’s a slight difference in numbers but a huge difference in picture quality. On the other hand, besides being a little bit cheaper compared to the two, Huawei’s Mate 20 leave a huge gap in the camera aspects, having 24 mp in its front camera, but having only a 12MP main camera. The only edge the Samsung Galaxy Note 9 has it its improved S-pen. Overall, the Samsung Galaxy Note 9, is one of the most powerful phones out in the market today. You’ll never go wrong with an 8GB RAM in any day. Whether you use this phablet for work or for just having fun, this phablet could be the perfect gift to yourself for this year’s holiday season. Waited too long to own a new iPhone but don’t want to play the cards wrong? Torn between the three newly released iPhones? Well, your waiting is not in vain. Apple brings out its latest flagship phone, the iPhone Xr with its Liquid Retina HD screen display, a first in all iPhones. After launching iPhone Xs and iPhone Xs Max, Apple releases iPhone Xr later in the same month. Many believe it to be the upgraded version of iPhone 8 plus, but they can’t be blamed, the features are almost the same. At least, there’s a visible improvement. It stands 6.1 inches tall, with an IPS LCD display screen. It ’s dual sim, has a 3 GB RAM, 3 internal storage options (64 GB, 128 GB & 256 GB), and 6 choices of colors. There’s nothing controversial or life-changing about the iPhone Xr’s camera, but just like the rest of the latest iPhones, its TrueDepth feature will surely satisfy your need for taking simple yet memorable photos. You can get it at T-mobile for $0.00 down at $20.84/mo (36x mo). You can buy it unlocked starting at $749.99. Related: Want to unlock your iPhone and use it with another carrier? Here’s how! 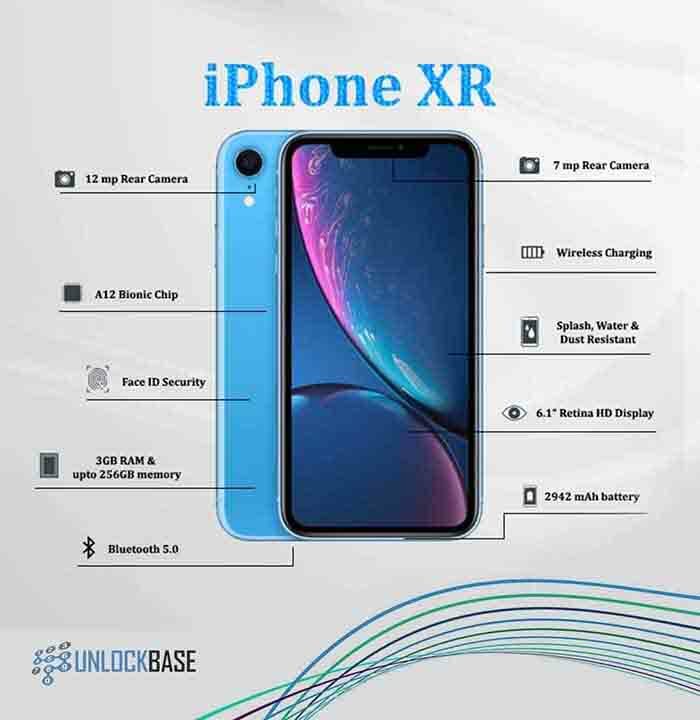 The hardware parts of iPhone Xr is made of surgical steel glass and aerospace-grade aluminum. It has earned a rating of IP67; it is splash, water, and dust resistant. This look is completed by a fingerprint-resistant oleophobic coating in 6 color finishing choices—black, white, red, yellow, blue, and coral. The caveat is that it is not pressure sensitive. You can’t customize the sensitivity that you can use in pressing the screen of your smartphone, too bad. iPhone Xr is supported by an A12 bionic chipset with a hexa-core processor; the latest technology Apple has to power their iPhones. It is remarkably faster than the older iPhone models. It is supported by a 3GB RAM, which is good, but it’s going to get problematic if you use a lot of heavy apps at the same time. Its new features like TrueDepth, Location assistance, etc would eat up a lot of the phone’s memory capacity and this can slow down the iPhone Xr’s response time and performance. iPhone Xr surprised many iPhone users because of its switch from Super Retina to Liquid Retina HD display; which means we’re back to good old IPS LCD from OLED. We liked the fact that iPhone Xs and Xs Max have an OLED screen and it’s such a let down to know that iPhone Xr’s screen technology is IPS LCD. This meant not having brighter images and deep blacks that OLED can offer. On the other hand, liquid Retina filled the screen of iPhone Xr edge-to-edge, but it still has that iconic notch at the top similar to iPhone Xs and iPhone Xs Max. It also offered a natural, wider color variation in a 326-pixel density. In terms of cameras, iPhone Xr has a 7MP(front) and 12MP(rear). Not bad, but nothing compared to other Android flagship phones. The TrueDepth Camera feature gives a much better bokeh effect, depth control, and portrait lighting than the previous iPhones. Related: Don’t know which carrier your iPhone is from? Run a GSX Check! The table below shows the notable specs between the previous releases of iPhone compared to their latest. iPhone Xr is quoted as the descendant of iPhone 8 plus and really live up to its name. The ‘it -is- iPhone -8 -plus- but- not -really’ vibe is there. A few upgrades can be seen in this smartphone from a bigger bezel-less display size, system chip, GPU, and biometrics (from fingerprints to Face ID). However, if you own an iPhone 8 plus, we don’t think the upgrade is enough to make a switch with your current phone yet. On the other hand, compared to iPhone Xs and Xs Max; iPhone Xr is inferior in both specs and features. Thus, it was justified by its price, since iPhone Xr is more affordable than iPhone Xs and Xs Max. iPhone Xr is graded lower compared to the other two newest release flagships of Apple- iPhone Xs and iPhone Xs Max. However, if you were a fan of iPhone 8 plus but you want the look of iPhone Xs and Xs max, iPhone Xr is the one for you. Unlocking LG V40 ThinQ: How life changing is a phone with 5 cameras? If you’re having second thoughts about Samsung or the rest of the flagships, you must really take a look at LG V Series’ newest release, the LG V40 ThinQ. It comes with five (5) cameras that will definitely turn your camera experience around. No, it’s not just hype; its 3 smart rear cameras will give you 3 different options in capturing a picture. It has a huge 6.4” QHD OLED FullVision Display with a notch, and it’s powered by an Octacore unit Qualcomm Snapdragon 845 processor with 64GB internal memory, built-in battery, and of course, the crowd favorite, a headphone jack. Related: Is your device supported by the “Device Unlock” APP? Check here! LG V40 ThinQ’s look came in four different colors—Platinum Grey, Aurora black, Moroccan blue, and Carmine red. Standing 6.4 inches tall, this smartphone is comparably lightweight, weighing only 5.96 oz (169 g) following the standard weight for LG V series. The screen is almost bezel-less except for a notch at the top. Trying to copy the iPhone X’s design may not be such a bad thing after all. As they say, imitation is the best form of flattery. This smartphone uses Plastic OLED (P-OLED) instead of AMOLED which is the glass version of OLED. However, there are known issues of burn-ins in other models using P-OLED. We hope this will not happen in this flagship phone. Its main feature is its 5 cameras: 2 in front and 3 at the back. We’re used to seeing dual lenses for wide angle shots, but LG chose to have a third rear camera solely meant for taking zoomed in portrait shots of your subject. There are three (3) lenses located at the back of the phone—- 45˚ Telephoto Zoom Camera in 12 megapixels, 107˚ Wide Angle Camera in 16 megapixels and 78˚ Standard Camera in 12 megapixels. They added a feature that allows you to take photos using the rear cameras at the same time and it is quite handy if you want to have the perfect angle for your pictures. The two remaining lenses are located at the front—-Wide in 5 megapixels and Standard in 8 megapixels. They are perfect for selfie shots. Also, the Cine Shot feature makes photos livelier and will surely be loved by Instagram users and aspiring filmmakers. This revolution in taking pictures is happening, thanks to LG. Not only that, it is rated with IP68 water and dust resistance, so you can take on more pictures with your adventures. And yes, LG V40 ThinQ is keeping the headphone jack- it’s not a common sight on most flagship phones nowadays, even on the iPhone Xs Max. LG is surely dominating the audiophile niche. In the table are the features of the three newest released smartphones by their companies. The pricing difference between these expensive phones is not too big. It all goes down in each phone’s specs and features. If you love taking pictures and making videos, LG’s V40 ThinQ is your bestie. The upgrades they’ve done in this field really blew up other smartphone manufacturers. They have greater and clearer resolutions compared to iPhone Xs Max and Huawei Mate 20. LG V40 ThinQ also has power and processor advantage, it’s a phone with a ginormous 6GB RAM and spacious 64GB Internal Memory. In terms of outer appearances, the matte coating effect of LG V40 ThinQ is such a letdown. It looks so plain and cheap looking compared to the other two. Moreover, if you already own V35 upgrading to V40 is not really advisable. 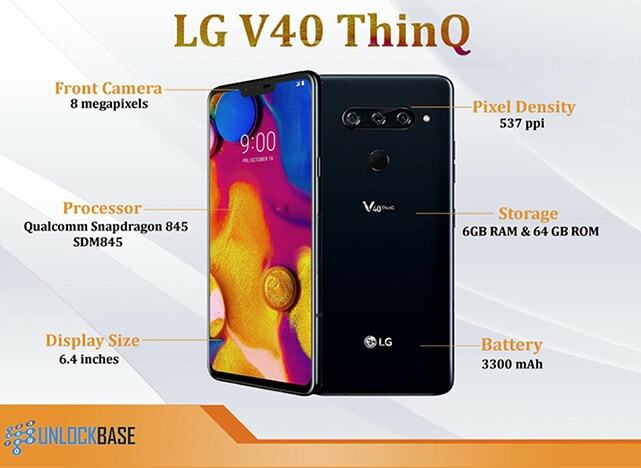 Yes, LG V40 ThinQ has new features that are not available to V35 but if you’re not into selfies or video making, you might not enjoy the fact that this phone costs around $920 when bought outright. Unlocking iPhone Xs Max: Does Size Matter? Not having fun with watching movies because of your iPhone’s narrow screen? Thinking of upgrading to phones with bigger and wider screen display? Then, you should check out iPhone Xs Max! It has a 6.5 inches display, and it’s the biggest smartphone released by Apple, so far. It is crafted with Stainless Steel and Glass that are also available in three different colors—gold, space grey, and silver. The iPhone Xs Max is powered by OLED Super Retina Screen panels which turn up HDR with a sharper display, accurate colors, and notable brightness and contrast. You’d be shocked to see that the photographs look so natural and subtle in your eyes through their enhanced True Tone feature. In addition, it has the biggest internal storage so far, with 512 GB; breaking the records of all Apple’s smartphones. However, all good things come at a price, and the iPhone XS Max is no different. Also, we don’t find the price of 64 GB and 256 GB internal storage to be practical. The thought is, Android phones have long had internal storage as big as that and the slight difference in screen size did not do justice to its price. On the other hand, it has pretty much ticked off every flagship basic: almost bezel-less screen, high pixel density, good front and rear camera with Depth Control, Faster Wireless Charging, and a 4GB RAM. Lost which carrier your iPhone is from? Here’s how to find out! After the iPhone X was recalled, Apple came back this year with its new smartphones, iPhone Xs Max (6.5″) together with its smaller brother, iPhone Xs (5.8”). The frame of the new iPhone Xs Max is made mostly with stainless steel, and a Corning Gorilla scratch- free glass; a 180-degree turn from iPhone 8s Plus’ Aluminum glass. Moreover, it is now splash, dust, and water resistant. Good job Apple for catching up. And through its Oleophobic coating, the screens are fingerprint-free. Can you believe that? The iPhone 8 Plus’ A11 Bionic Chipset was completely overthrown by A12 Bionic Chipset when it comes to speed and performance. And the later first appeared in iPhone XS, iPhone XS MAX, and iPhone XR, which also operates in a hexa-core CPU for a faster and more battery efficient system. Performance-wise, having a 4GB RAM is not too impressing at all when compared to other Android phones that aced the contest in RAM into 8GB. But it’s dual sim feature caters both nano and e-sims, besting other Android phones. If you’re a selfie addict, you’re gonna like how the iPhone Xs Max offers 12 megapixels rear camera and 7 megapixels front camera. We are amazed by the captured pictures that looked like it’d pop out of the screen because of the improvement in the TrueDepth dual camera system. It made possible smart adjustments in your selfies’ depth. The bokeh or background blur really brought life out of the picture. The FACE ID in iPhone XS MAX also has better algorithms that perform faster and safer. Thinking of Unlocking Your iPhone Xs Max. Read this first! Honestly, the specs between Xs and Xs Max doesn’t differ much. However, if you like to have a wider view in your phone, and you think it’s within your budget, then, by all means, go for the iPhone Xs Max. These are the specs of iPhone XS MAX versus two other newly-released Android flagship Phones. Those phones has its pro’s and con’s, but which is better is up to your interest. Unlocking iPhone Xs Max: So, does size really matter? The iPhone Xs Max and iPhone Xs don’t have that much difference at all when it comes to performance and the camera system. For a slightly bigger screen, there’s a $100 difference, and for us, that might not be the wisest choice. Bigger doesn’t always mean better all the time. Be first! Unlock your iPhone XS Max for a better experience! Click here. Unlocking iPhone Xs: Is it worth the upgrade? Having trouble capturing the real and everything about you in the lens of your current phone? Then you should try the iPhone Xs. It is packed with an A12 Bionic Chipset processor, 12 megapixels rear camera, and 7 megapixels front camera. The new upgrades include live wallpapers, faster wireless charging, a 4GB RAM, and a Gigabit- Class LTE. This and its amazing dual- camera system with Depth Control is perfect for taking both professional and simple selfies. These are just some of the many features you can enjoy in this new smartphone from Apple. It is crusted with a perfect shade of gold and similarly available in silver and space grey colors. It was released last September together with the iPhone XS Max. You can get it locked from the T-Mobile network. If you go the financed route, you can get it with $0 down at $27.78 per month (36 mos.). You can also buy it outright at $999. Want to Unlock Your iPhone XS? Here’s How. iPhone XS’ camera is an improved version from iPhone X. It has a TrueDepth camera system that supports Face ID. The Face ID security feature is a convenient alternative to the Touch ID, to easily access your email, health, and banking apps. The iPhone XS’ camera has even more sophisticated bokeh effect, or a background blur, for spectacular focused photographs. The All- New Depth Control feature allows you to adjust the depth of field after you capture the picture. If you have a passion in making videos or taking photos, the iPhone XS has an HDR feature, that makes the footage clearer and more detailed. It can provide an advanced level of contrast between light and dark images on the screen to create a much realistic image perfect for selfie addicts and model wannabes. Moreover, it has True tone, a six- channel light sensor subtly adjust the white balance or the brightness on-screen to counterpart the color temperature of the light around you. So, the displayed image looks as natural as on printed page and calmer in your eyes. The smartphone has an edge-to-edge screen that is almost bezel-less, standing 5.8 in tall (diagonal). It has a Super Retina OLED Screen Display with capabilities of adjusting in different lighting conditions. The screen is definitely bigger than its predecessors, the iPhone 8 and iPhone 8 Plus. This is the sharpest displays we’ve seen so far, with highest pixel density compared to the most iPhone and Android phones. Its frame is mainly made of stainless steel with scratch-free glass protector. It is splash, dust, and water resistant. Thank to its Oleophobic materials, you can keep the fingerprints spots off in its glass touchpane. The Internal storage of iPhone Xs came in three sets—64 GB, 256, GB and 512 GB. For the first time in Apple history, it reached the bracket of 512 GB for internal phone storage. As for RAM, iPhone XS have 4GB that totally topped last year’s released with 3GB RAM such as iPhone X and 8 plus. The iPhone XS has a wider stereo sound, which means you can better and louder audio experience. Our inner divas and closeted dancing machine like moves will be justly satiated by this. What I like about all the features of this Smartphone is the upgrade in Apple Pay Services that allows you to pay in stores without using your physical cards, much safer and faster. Very convenient. Don’t know which provider your iPhone is from? Check here. We know that the iPhone XS could be easily overshadowed by the iPhone XS Max, but it’s not such a huge difference. The latter has a slightly-better processor, a slightly-bigger battery life and slightly-sharper camera. Be cool! Unlock your iPhone XS for a better experience! Click here. And we think that the iPhone XS is more reasonably priced than the iPhone XS Max. In terms of weight, the iPhone XS is 1.10 ounces much lighter than iPhone XS. According to Apple, the A12 Bionic Chipset is fifteen percent (15%) faster than A11 Bionic Chipset that powered the iPhone X last year. The iPhone XS and X Max are worth upgrading to if you are owning older models like iPhone 7, iPhone 8 iPhone 8 plus. The iPhone XS’s price starts at $999 for a 64GB model, $1,149 for 256 GB and $1, 349 for 512 GB. So, is it worth it to upgrade to the iPhone XS? It does feature slightly improved features than iPhone X but it might not be worth the upgrade. It all depends on your personal preferences, but you might also want to check out the iPhone XS Max and the iPhone Xr. If you are looking for a budget phone with a good camera, advanced security features, fast processor, and the latest operating system, then you should definitely check out the Samsung J7 Star from T- Mobile. The Samsung J7 Star (SM-J737T) is one of the few budget phones that came with a Facial Recognition feature. The phone retails at $250 on T-Mobile, and if you don’t buy it outright, you can also get it for $10 per month for 24 months with $10 down payment. You will pay the remaining device balance if you cancel before the contract ends. Do note that it comes locked with T- Mobile, so if you want it unlocked (for use with another carrier), you can definitely use UnlockBase’s service for Device Unlock App Permanent Unlock. On the outside the phone looks nothing spectacular; it is available only on color blue just as the Samsung J3 Star is only available on color pink. We are assuming this phone was meant for the masculine market because it has a bigger battery than the J3 Star, which is more likely for gaming purposes. Let’s first discover its overall features to help you decide whether the Samsung J7 Star could be your next phone. 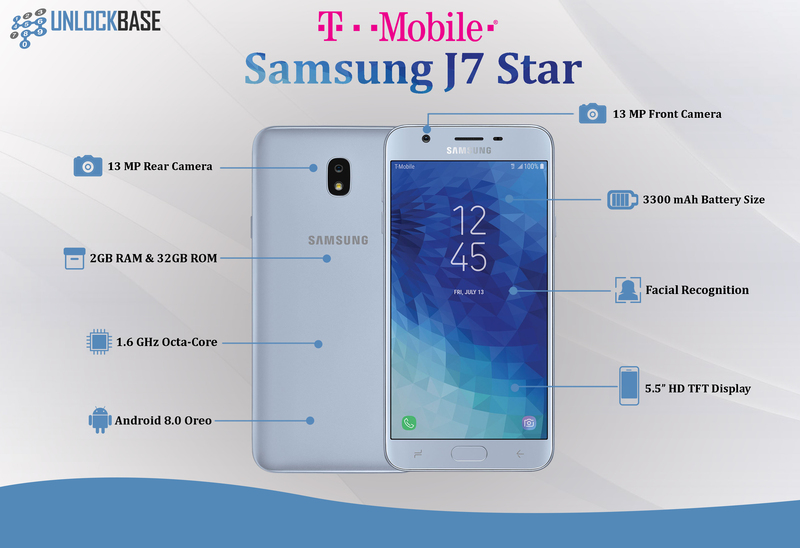 Below is a table that compares the key features of Samsung J7 Star to that of other budget phones that are also available through the T-Mobile network. The J7 Star is a minimalistic looking phone; it could be because of the price or it could be just because they’re trying to keep it consistent with the J3 Star. It has more of a “2016-ish” design compared to the LG Stylo 4, which adopted a more 2018-like design. The latter also has a bigger screen size, 6.2 in compared to 5.5 in on the Samsung Galaxy J7 star. The LG Stylo 4 also has a better 1080p resolution compared to the 720p resolution on the J7 star. This means that the visual experience with the Stylo 4 is going to be better than that of the J7 Star. On the front, there is a 13MP camera, which makes it a winner in that department. Selfies with the J7 Star are definitely better than the Stylo 4. There’s also a 13MP camera at the back with a f/1.7 aperture (a low f-stop means wider aperture and more light comes in). With a better aperture, the Samsung Galaxy J7 Star will have better low light photos compared to the Moto E5 Plus and Stylo 4. The Samsung Galaxy J7 Star, unfortunately, doesn’t have any Fingerprint reader, so the only way to secure your phone is to setup a password/pin/pattern or to setup the Face Recognition feature. But no worries, it’s fairly easy. Just like most Samsung phones, here’s how to get it done. Tap on Lock Screen and Security. Set Up A Secure Screen Lock (Pattern, Pin, Password). Re-enter Your Screen Lock Security Key. Follow Screen Prompts To Setup Face Recognition. Tap Turn On (Face Unlock). Congratulations! You’ve setup your Face Recognition security successfully! If you ever have problems opening up your phone using the Face Recognition feature, you can always use your screen lock security key (password, pin, or pattern) to unlock your phone. As mentioned in the earlier part of this article, the Samsung J7 Star from T-Mobile can only be unlocked using the Device Unlock App. 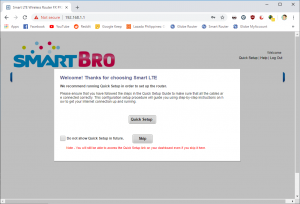 This helpful app will be the only way to get your phone Temporarily or Permanently unlocked for use with any GSM network, and it will be granted as long as you qualify with T-Mobile’s unlock policies. If you otherwise don’t, you can always use our services to get your phone permanently unlocked! To do it now, simply go to our T-Mobile Device Unlock App service page! Should you have any questions we’re always here, 24/7 to help you out!